I’ve been a bit ‘meh’ about my exercise routine this summer, all the usual suspects on the excuse front in particular those bottles of rosé that are permanently winking at me in the fridge. In my quest to look fabulous this Christmas party season I’m tackling the Realfit eight-week (drop a dress size) accelerator programme. I’ll update you every few weeks on what progress is being made and come December you won’t recognise me as a sashay into the season of excess – when I’ll pile it all back on again! Realfit is a small personal gym located on the industrial area in Eaton Socon. 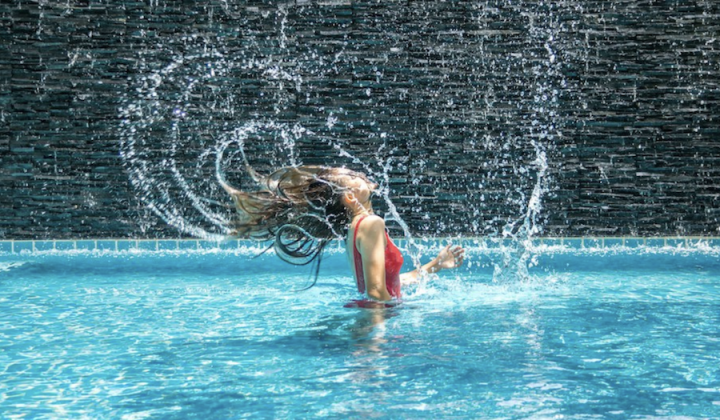 We’re not talking David Lloyd fitness clubs and if you’re after fluffy towels, swanky showers and loads of mirrors then reverse out now – in fact there are no mirrors at all, on purpose. I liked that as soon as I stepped foot in the gym as who wants to watch themselves getting hotter and redder by the minute and resembling a blowfish. It’s what I’d describe as a gritty working gym – it’s practical, efficient and has a definite industrial feel to it. 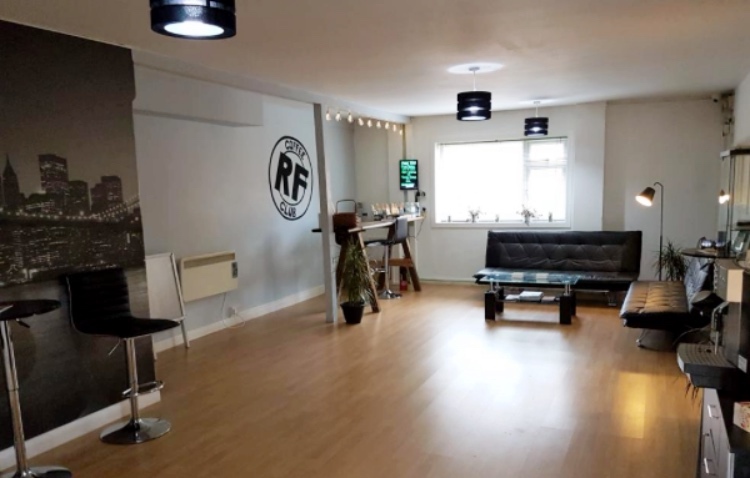 This place is for people that are serious about wanting to get fit – you don’t have to be a gym bunny already but you do need to want to improve your lifestyle and/or get fit and feel supported as part of a community. Tea and coffee are always on offer – not during your training obviously, and they have a smart communal area that you can hang out in if you’ve got some time to kill with healthy low carb snacks on offer. 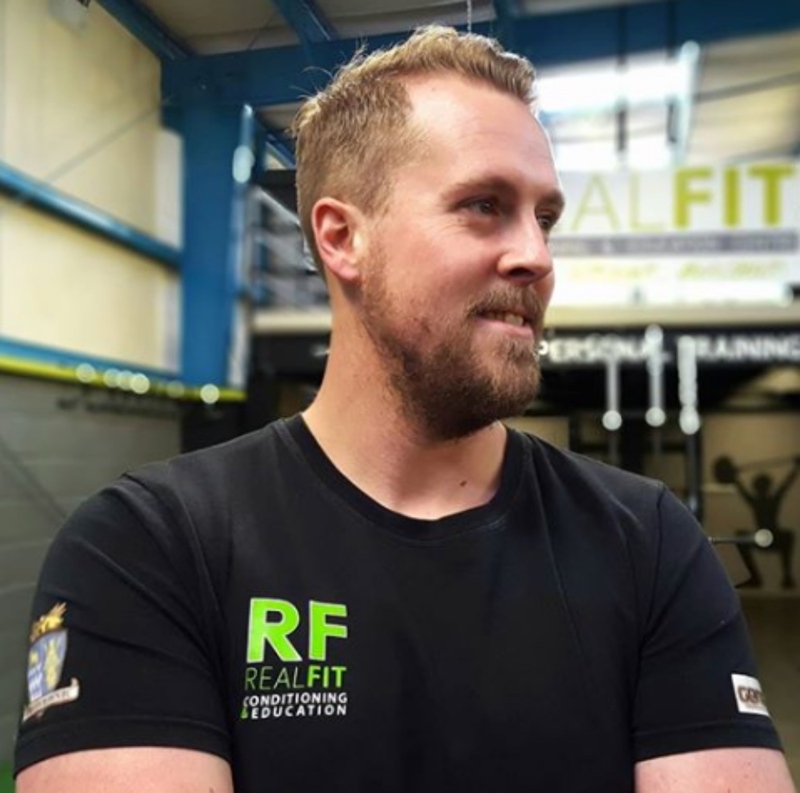 Reallfit is run by Peter Drinkwater and his business partner Joanne Oxenham and their vision is to encourage an all round healthier lifestyle that encompasses the physical, nutritional and mental side of getting fit. As well as the weekly training sessions they run workshops on nutrition (and how to do it quickly and simply), managing stress, self-defence and how to maximise your workload are all coming up over the next few months. Every person joining the gym has an induction with Peter and are given a personal fitness plan. 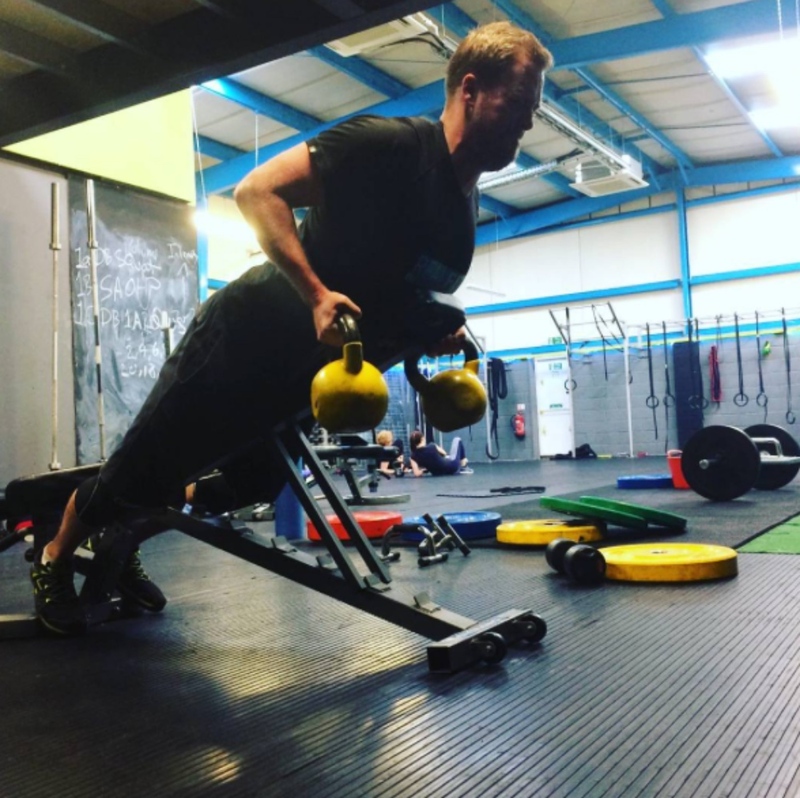 This isn’t a gym where you turn up and do your own thing, you will either join in the small group sessions or have individual sessions, or a combo based on what your personal objectives are. We’re talking highly individualistic, results focused and targeted. The programme that I’m taking part in is aimed at getting results fast – now do you see why I’m interested. It’s based around strength work (basically weights) combined with a cardio element. I recently interviewed Peter about why women over 30 should all be lifting weights and if you didn’t have a chance to read it here’s the link to his 7 reasons. 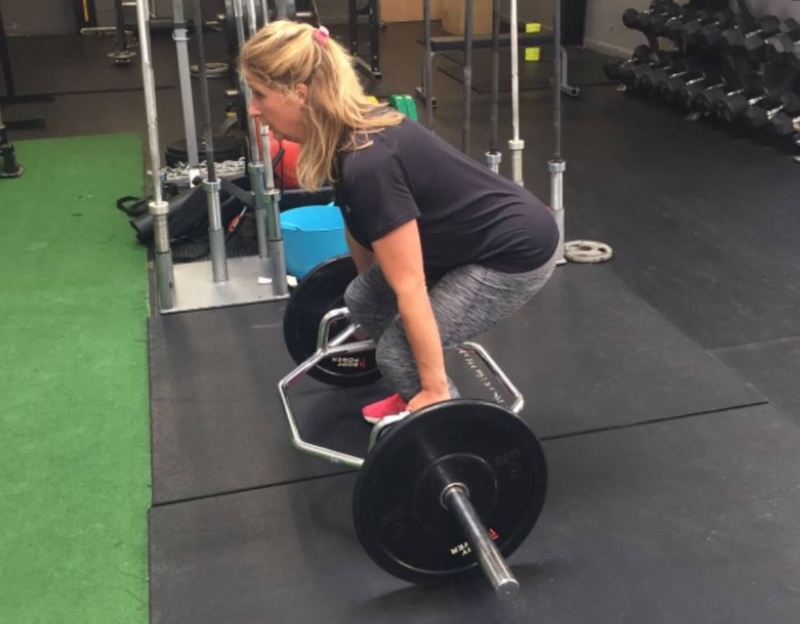 I’ve always been reticent about using weights – I wouldn’t say I’ve got a slim frame and I’m petrified I’m going to bulk up – I mean I want to still have a neck at the end of this. Peter reassures me that if I’m after weight loss and leaner muscles then I need to be strength training – bulking up only happens with excessively heavy weights and lots of hard work. These ropes are a killer – you’ve been warned! There is a commitment to train three times a week, each session lasts 45 mins so it’s time efficient. I liked the fact that I am in and out of Realfit pretty quickly – we all lead busy lives trying to keep track of an ever increasing to do list and there’s no way that I get out of the gym I normally go to in that time. I’ve noticed that I’m speeding up my workout time significantly. Be prepared – the tape measure and scales come out on your first session – just close your eyes, I did! I‘ve had to upload an app on my phone called myfitnesspal and I log everything I eat during the day. It sounds a faff but it’s simple and easy to use and will even nudge you if you haven’t updated your meals for the day. Based on your measurements Realfit will help you work out your daily calorie intake and they’ll give you menu tips to help make it as simple as possible. Trust me, mid week suppers are fast and furious at Muddy Towers – we’re not rustling up any culinary greats and I’ve found it easiest to have set meals for each night of the week so you know what you’re doing and can put your online shop on repeat order. It’s not exciting eating but hey that’s what weekends are for. The downside – clearly there’s going to be some pain involved and alcohol is one of them. 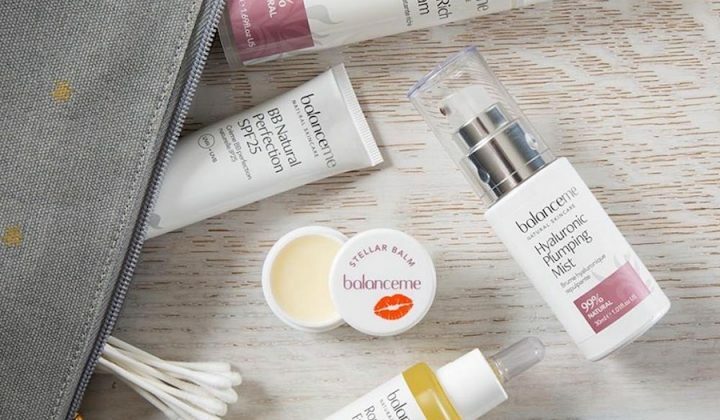 No drinking is allowed on week days, one glass on a Friday but Saturday night is party night and you can fill your boots and wake up with a stonking headache the next day. The aim is for me to lifting an overhead press by the end of the eight weeks. And if you don’t have a Scooby what one of those is here’s Jacob, one of my torturers (sorry trainers) just about to lift this bad boy over his head. So come December I’ll be swinging them over my head like a pair of knickers. But we’re nowhere near this yet, as I’ve discovered. There’s a small close-knit team of trainers, so far I’ve had Jacob and Peter but it could be anyone of them as they’re all trained in the Realfit methodology. 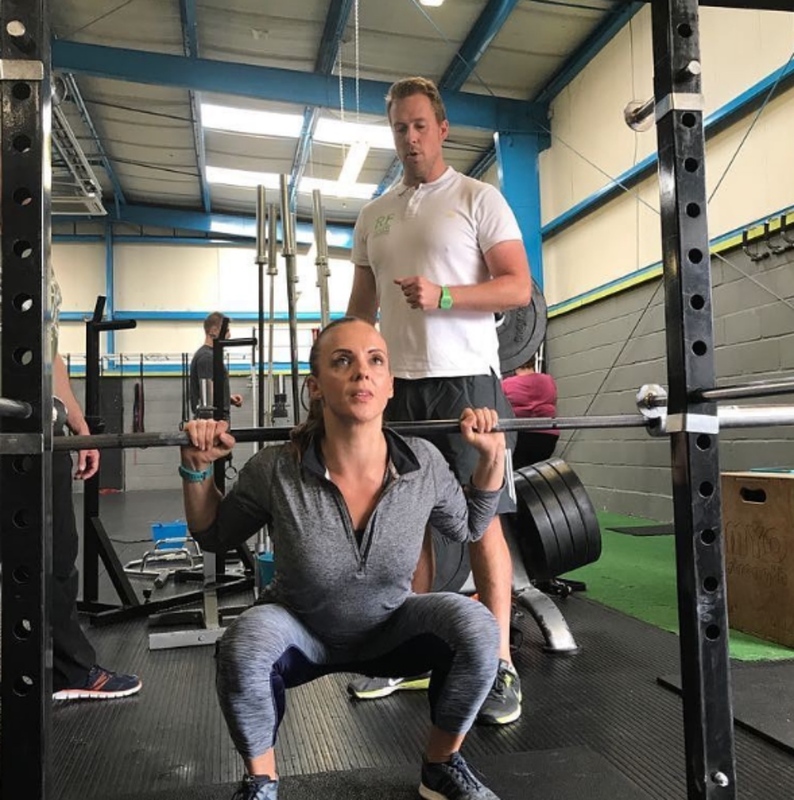 If you prefer a woman PT, Gemma is on the team but trust me she doesn’t ease up – she’s just as tough as the rest of them. 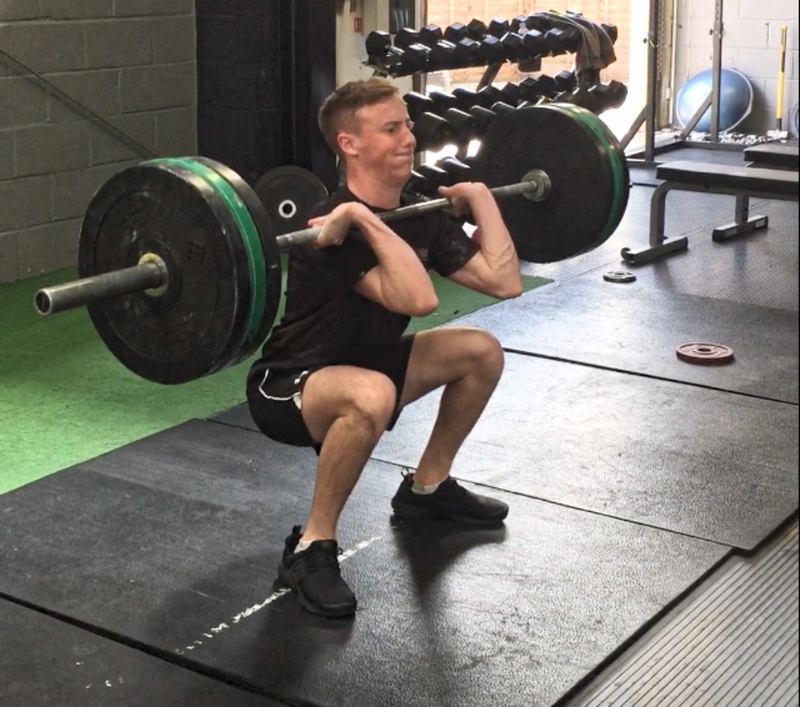 Each session involves different strength work using a variety of weights and as you’d expect these gets increased each week to build up your stamina. So far I’ve used dead weight lifts, kettle bells, weighted ropes (total killer), resistance bands, and bench press work along with the rowing machine providing an additional cardio element. I was weighed and measured this week – I’m 4 sessions in out of the total of 24. Truthfully I wasn’t expecting any movement so early in the programme, but I was really pleased to hear that I’d already lost weight around my thighs, waist, and I’d dropped just under 3kg. My arms and hips were still the same. The team run a Realfit weekly timetable with sessions that are designed around specific goals: legs, push, pull, core. 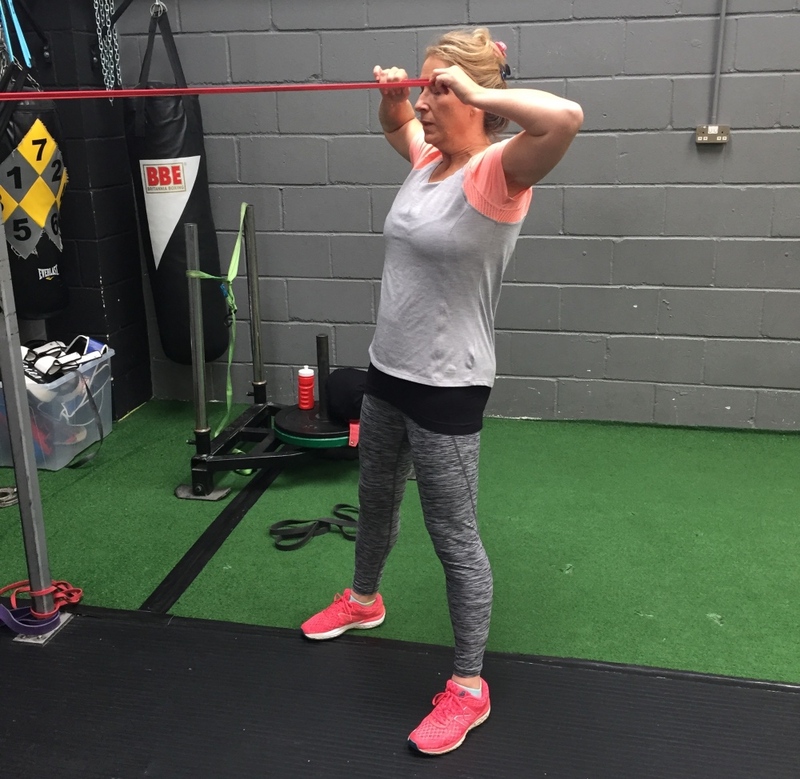 The numbers in these group sessions are purposefully kept very low so that there’s an intensity to the work out – there is nowhere to hide to take an easier route and results are tracked and monitored. I’ve done a few of them and, fitness wise, I have been one of the weaker ones but the exercises are adapted and everyone respects different abilities – the fact that there aren’t any mirrors helps as you can’t see how rubbish you are! They also run Strength Club, Realfit X and Boxing for those super fit people that enjoy pain and want that extra challenge as well as Personal Training sessions if that’s more your thing. There is a sense of community during the training sessions, the other trainers will chat to you as you’re working out and on the occasions when I’ve witnessed someone beating a personal best there’s always a round of applause from everyone else – slightly cheesy but it’s inclusive and supportive and it spurs you on. 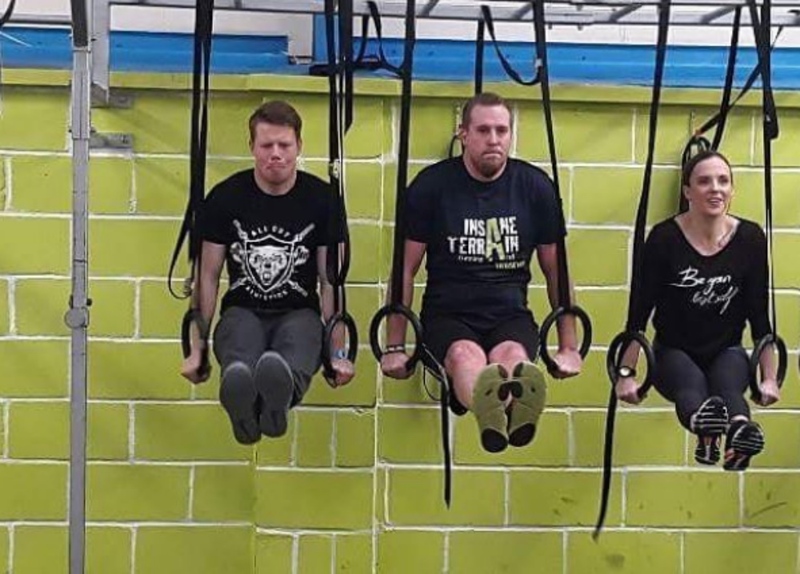 If you’ve got someone in your family that’s interested in fitness, and developing it as a career, Peter also runs the Lift Academy, which offers mentored Personnal Training courses which will equip you with a level 3 qualification. There’s a lot coming out of this small gym – size doesn’t reflect output. 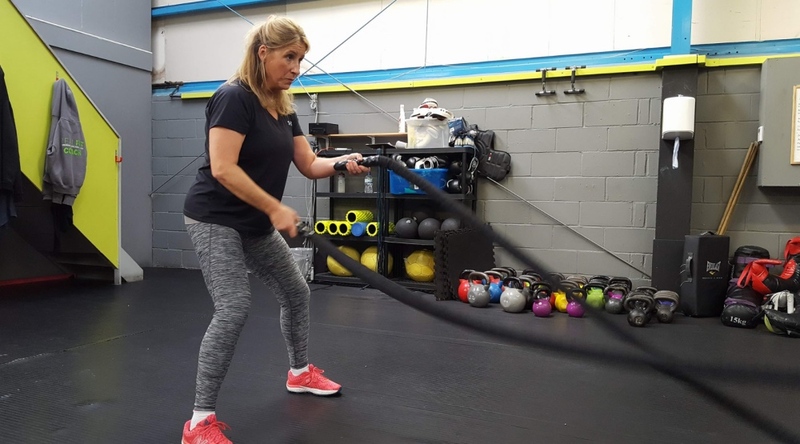 Peter and his team are passionate about fitness and healthy living and this enthusiasm is rather infectious – she says as she smugly sips her herbal tea rather than a glass of wine. They are super friendly and if you’re interested in squeezing into that slinky number this Christmas there’s still time to join me on the accelerator programme.